Revo have a warehouse clearance sale posted on their website where they're selling various radios they describe as selling refurbished (as new) or new. I bought a K2 radio in the spring for Amazon Warehouse for a similar price that was described as new, which usually means unwanted unused stock by retailers or customers so assume this is similar expect they've replaced the packaging. 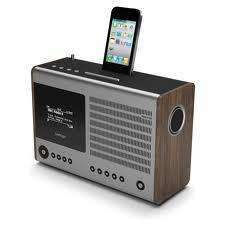 As radios go, Revos are excellent. I've got a Heritage - paid £250 for it - and it's brilliant, so getting one for £110 is a steal. For DAB radios in general whether they're from the main players like Pure, Revo, Roberts then I'd agree their RRP are over priced, I paid £165 for my Revo K2 and I'm well chuffed with it and think is a realistic price point for a luxury style radio, but the reality is you're not just paying for the radio it's self, also included in the alot of these prices is the one off licence fees to companies like Frontier Silicon who produce the all in one chips and maintain the world wide Wifi radio portal listings. .. or is G2 some revised model?